Can you spot the celebrity? 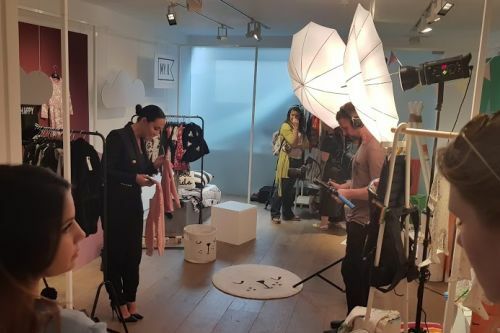 #MySundayPhoto this week was taken at Mothercare’s AW18 press preview where singer, model, TV presenter and designer Myleene Klass was on hand to show off her My K collection for Mothercare (that’s her on the left hand side of the picture in case you were wondering!) The collection has all sorts of gems, my favourite of which includes matching mini me Christmas jumpers by Jools Oliver’s Little Bird range. If you’d like to see more check out my post on 5 reasons I’m loving Mothercare’s AW18 collection – you won’t be disappointed! Oh wow! That sounds like a great event to attend. A great looking event. Hope you had a good day there.